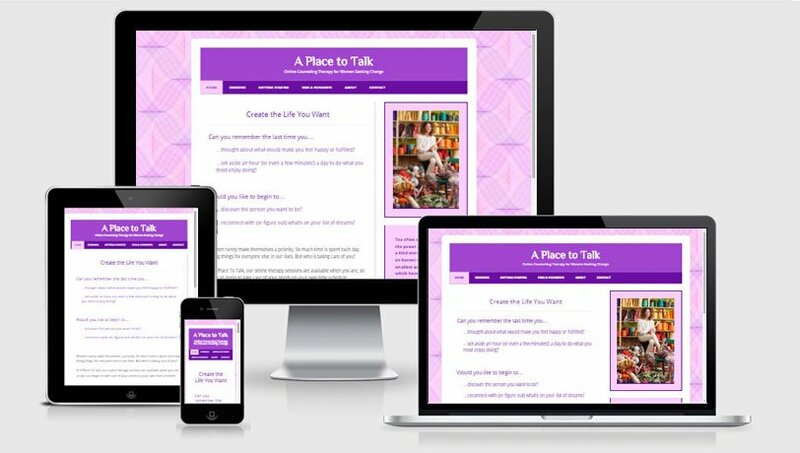 A Place to Talk is an online counseling therapy practice for women seeking change. Psychotherapist Ethel Wagner wanted an uplifting and informative website for connecting with her potential online counseling therapy clients. I matched the color palette she wanted to use, and added rotating photos and thoughtful quotes to help communicate her message.